Home › Faculty Directory › Breckenridge, James, Ph.D.
James N. Breckenridge, Ph.D., is Dean of Academic Administration and Operations and Chief Academic Officer for Institutional Research. Dr. Breckenridge chairs the Educational Effectiveness Committee, which advises the Provost on the effectiveness of PAU academic programs and their alignment with the University’s strategic priorities. Dr. Breckenridge is also responsible for administrative oversight of the Gronowski Center, where he has been a strong proponent of multicultural services, such as La Clinica Latina. Dr. Breckenridge is Palo Alto University’s Academic Liaison Officer to the regional accrediting agency, the WASC Senior College and University Commission (WSCUC), and a member of the WSCUC Substantive Change Committee. 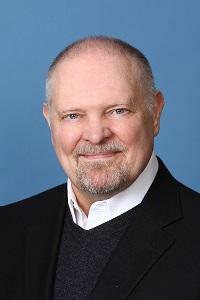 After twenty-five years of service, Dr. Breckenridge retired from his position as Chief of the Psychology Service at the Veterans Affairs Palo Alto Health Care System and joined Palo Alto University in September 2005. For the next seven years, Dr. Breckenridge served as Co-Director of Clinical Training of the PGSP-Stanford Consortium. He is a Fellow of the American Psychological Association and has been a Consulting Professor of Psychiatry and Behavioral Sciences at Stanford University School of Medicine. Since 2001, Dr. Breckenridge's academic interests have centered on social-psychological processes that have potential to augment or diminish political conflict. Dr. Breckenridge is currently Vice President of the non-profit educational Foundation for Peace and Justice and a Senior Fellow at the Center for Homeland Defense and Security at the Naval Post Graduate School in Monterey, California. He has served as principal investigator on a variety of funded research projects investigating social and psychological processes related to responses to the threat of terrorism, risk communication, and Americans’ appraisals of national security policies and institutions. He directed a grant from the National Science Foundation to evaluate psychological measures for detecting deception and for improving national security evaluations, which was part of a broader effort intended to guide Congressional priorities for future research. Dr. Breckenridge was the Principal Investigator on a Medical Response Corps grant funded by the Department of Health and Human Services to develop an evidenced-based psychological of early response to acts of terror. Along with nineteen other academics and twenty Government personnel, Dr. Breckenridge participated in the Summer Hard Problem Program (SHARP) sponsored by the Office of the Director of National Intelligence. In a classified setting, SHARP explored implications of factors that cause individuals or communities to coalesce into terrorist movements. Zimbardo, P.G., Breckenridge, J.N., & Moghaddam, F.M. (2015). Culture, militarism, and America’s heroic future. Culture & Psychology, 21(4), 505-514. Zimbardo, P.G., Breckenridge, J.N., & Moghaddam, F.M. (2013). “Exclusive’ and “inclusive” visions of heroism and democracy. Current Psychology, 32, 221-233. Breckenridge, J.N., & Moghaddam, F.M. (2012). Globalization and a conservative dilemma: Economic openness and retributive policies. Journal of Social Issues, 68(3), 558-569. Breckenridge, J.N., Zimbardo, P.G., & Sweeton, J.L. (2010). After years of media coverage, can one more video report trigger heuristic judgments? A national study of American terror risk perceptions. Behavioral Sciences of Terrorism and Political Aggression, 2(3), 163-178.